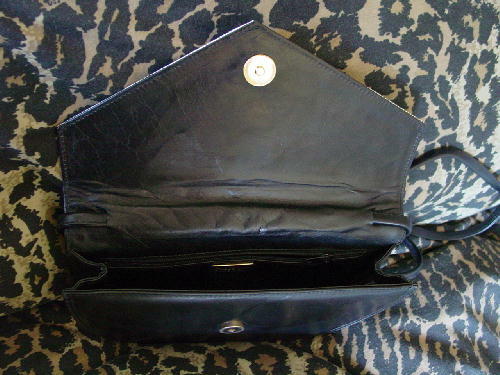 This vintage soft black leather purse has a modified envelope styling and rounded bottom. It has a hidden magnetic snap under the lid. The front has angled embossed snakeskin strips in dark gray and offwhite. 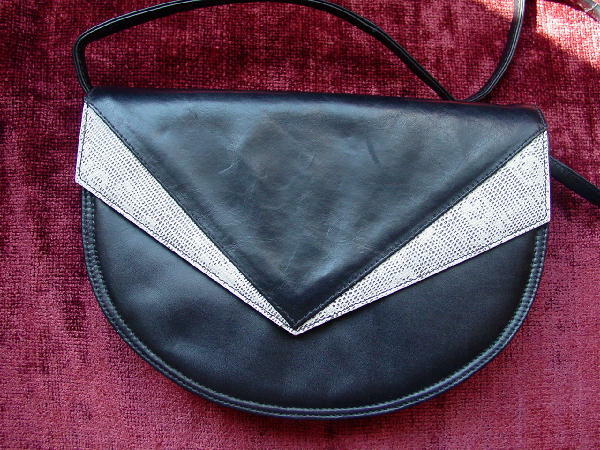 There is a 42 1/2" long by 1/4" wide shoulder strap. 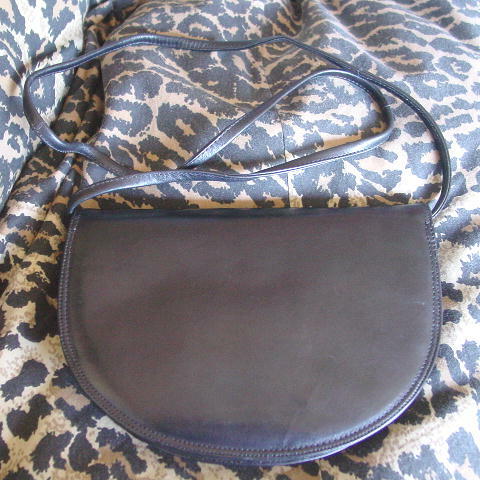 The interior lining is black leather. It has an interior zippered pocket , also lined in leather, with a gold-tone metal plate with Saks Fifth Avenue made in Italy on it.